Watercolour 12 x 18 inches. 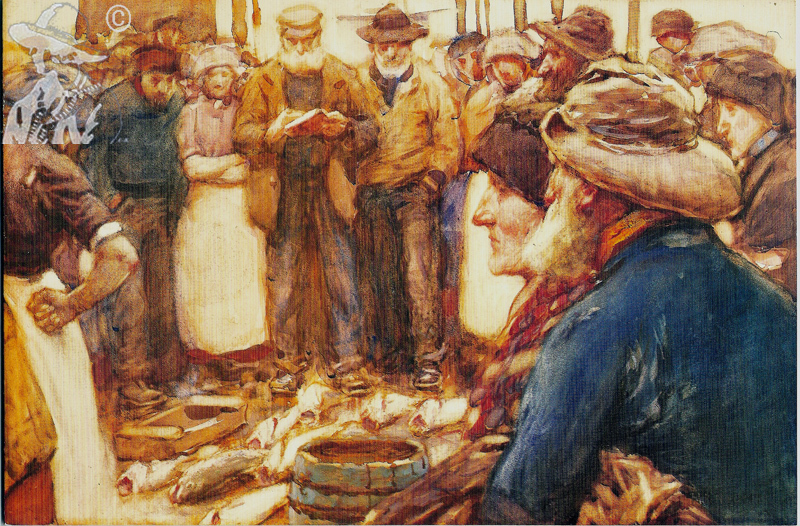 Depicts Jimmy James the fish auctioneer who originated from Cornwall selling fish on the quayside Staithes. It is also believed that the two characters on the right were the girl to be married to Billy Unthank and his father.